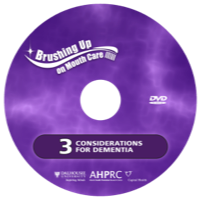 Here you can find videos on considerations when providing oral care to those with dementia. The first link (full video) is a compilation of the subsequent videos. Click on any of the titles below to expand the corresponding video.